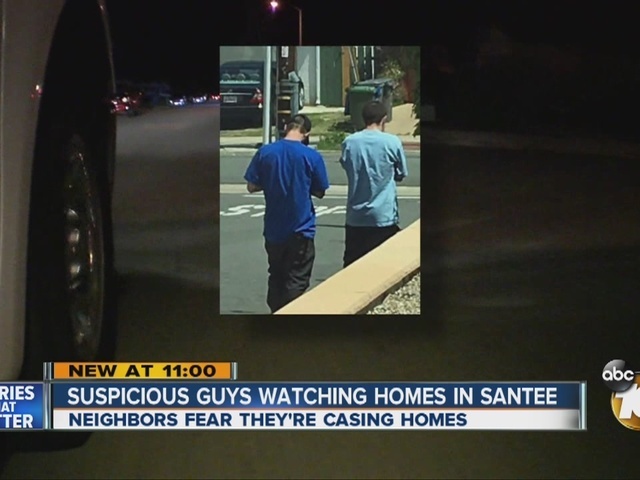 Are 2 men casing homes in Santee? SANTEE, Calif. -- Residents in a Santee neighborhood are keeping an eye out for two men who may be casing homes. 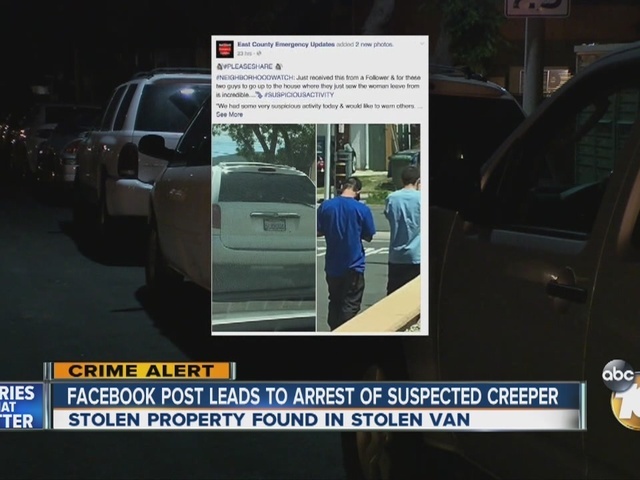 A woman, who did not want to be identified, told 10News she was heading out with her children Wednesday afternoon when she noticed two young men sitting in a white minivan parked just off of Pebble Beach Drive. She says the men appeared to be waiting for her to leave. She left, but decided to return immediately. On coming back, she found the men at her front door. They were startled and told her they were looking for a friend. Shortly afterwards, she saw them parked outside another home a few streets over. She took their picture as they were walking away and posted it on the East County Emergency Updates Facebook page. Dozens of people reported seeing the same men acting suspiciously. "I've seen the car quite a few times, just come up and make a U-turn on a few of the streets around here," said another woman who lives in the area who also did not want to be identified. Initially, she assumed they were visiting friends. She's glad her neighbor posted the pictures. The woman who took the pictures notified the San Diego County Sheriff's Department, but by the time a deputy came out, the two were gone.